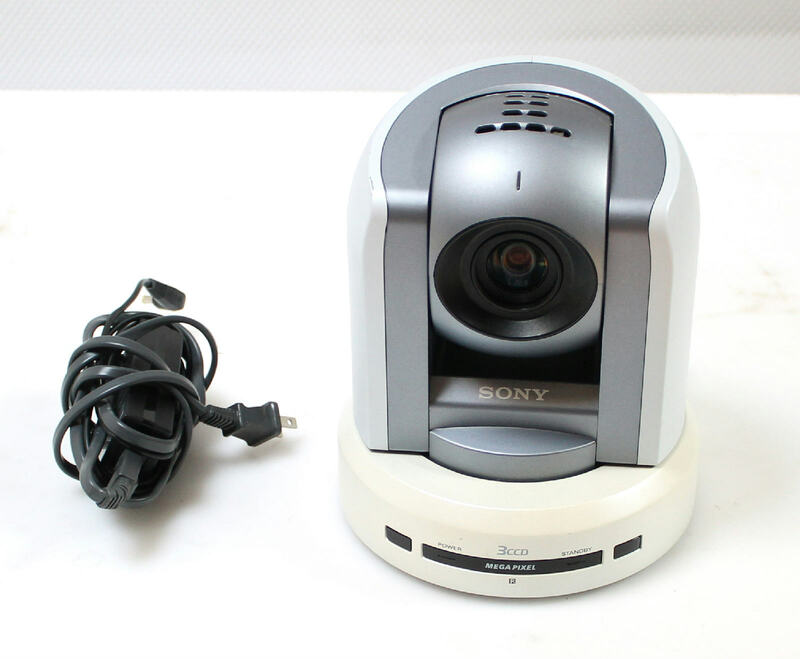 Up for sale is a used Sony BRC-300 Megapixel Robotic 3CCD PTZ Pan Tilt Zoom Color Video Camera. 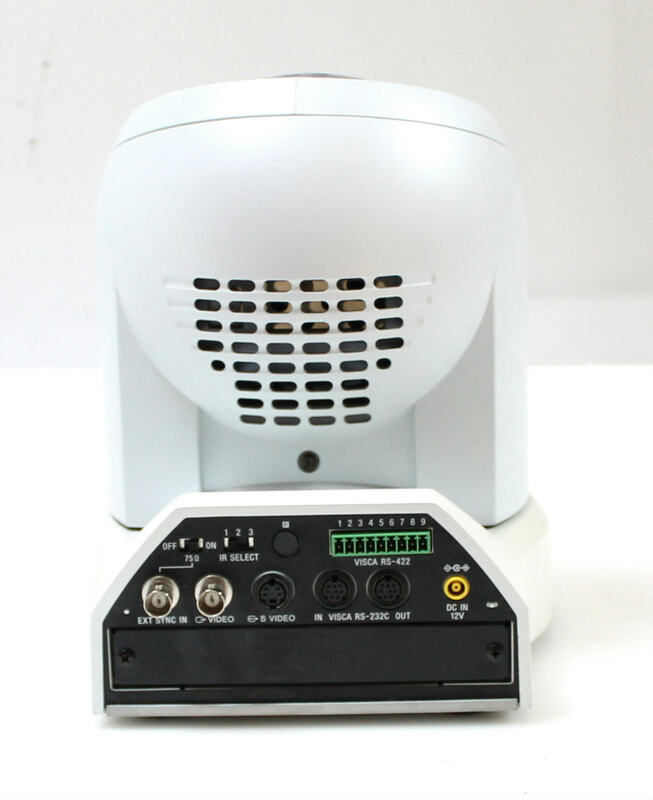 It has been tested to output video via its S-Video output. A power adapter is included. Remote or other accessories are NOT included. 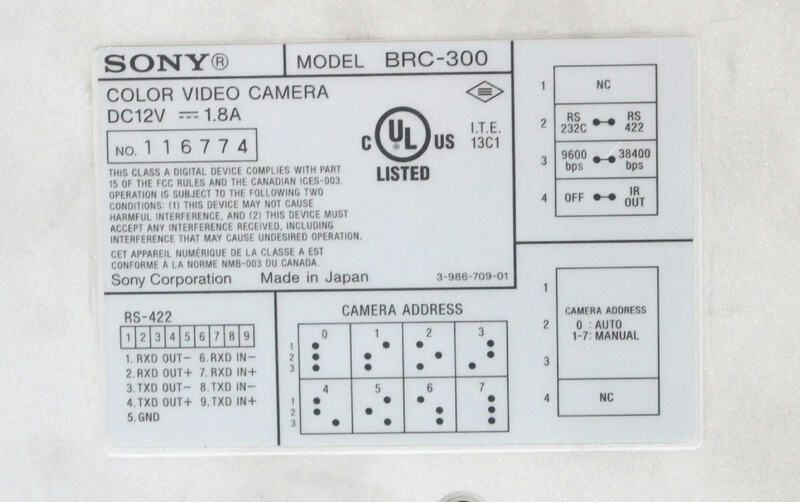 Sony's BRC-300/BRC-300P is a revolutionary all-in-one compact robotic color video camera system, specially designed for remote video shooting applications. The BRC-300/BRC-300P incorporates three 1/4.7-type Advanced HAD™ CCDs, that provide high-quality and high-resolution images in both 4:3 and 16:9 modes. With its high-accuracy and wide-range Pan/Tilt/Zoom capability, the BRC-300/BRC-300P precisely captures the right points of the viewable area surrounding the camera to meet your needs. 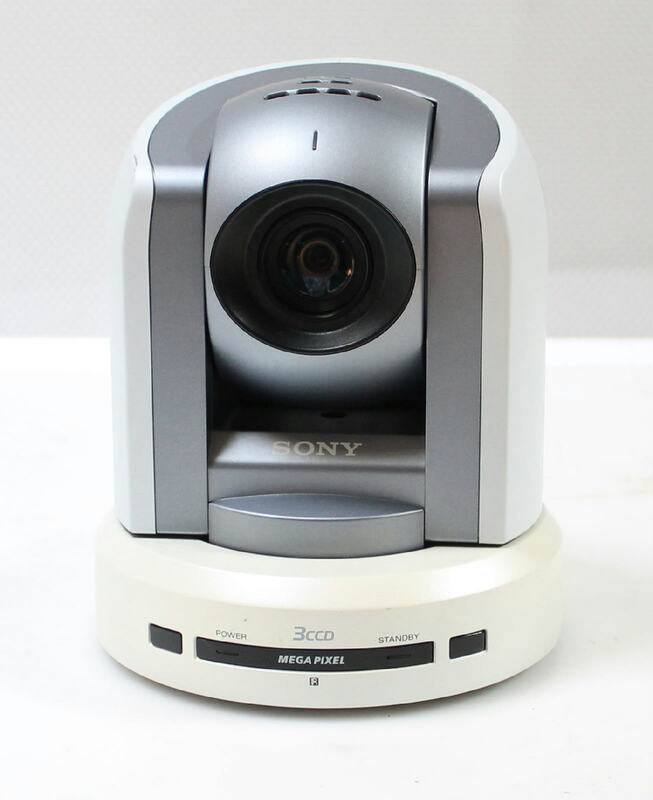 You can also easily operate the camera with Sony's optional RM-BR300 Remote Control Unit, which is equipped with an ergonomic joystick, and feature-rich control panel. And when used with optional BRBK-303 Optical Multiplex Card and BRU-300 Optical Multiplex Unit, the BRC-300 is capable of being controlled from a long distance with a single fiber optic cable connection.